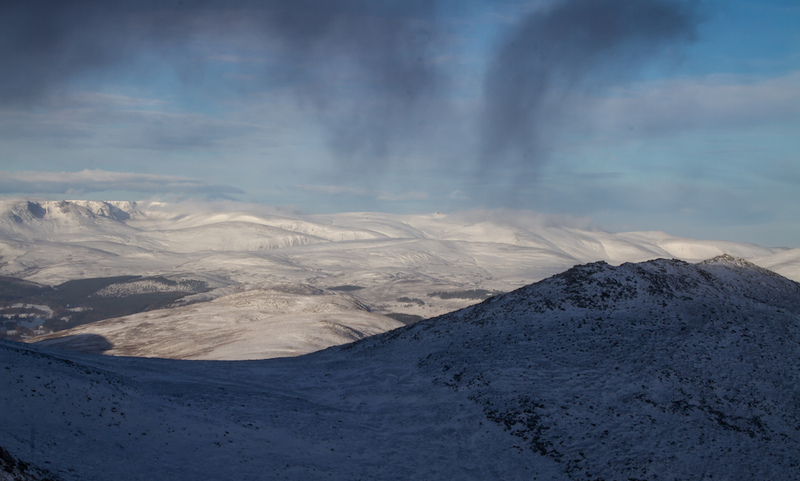 SAIS Southern Cairngorms Blog » Cold and dry. It was cold today, as expected it was dry but the winds were not strong so there was little drifting occurring. 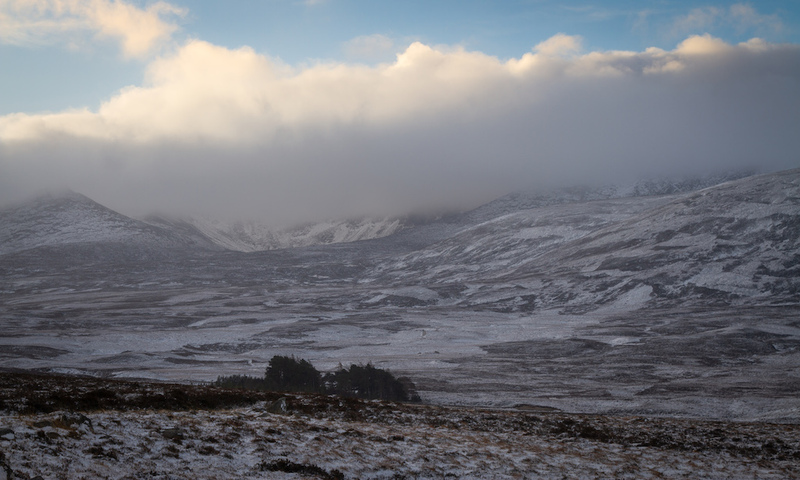 Looks like the freezing level will lift to around 700 metres tomorrow but it’s defiantly Winter on the hills. A bright start, I had hoped all the hills would be clear today. Beinn A Bhuird. 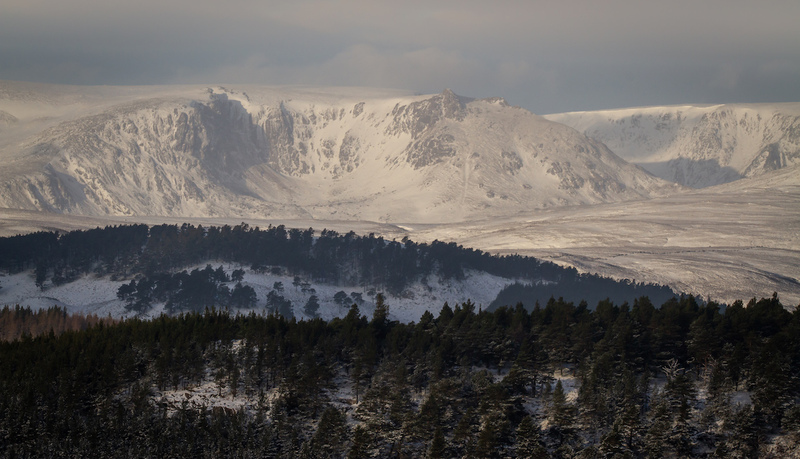 However, no such luck with Lochnagar this morning. Of course it cleared when I came down! Ice forming in the False Corrie. 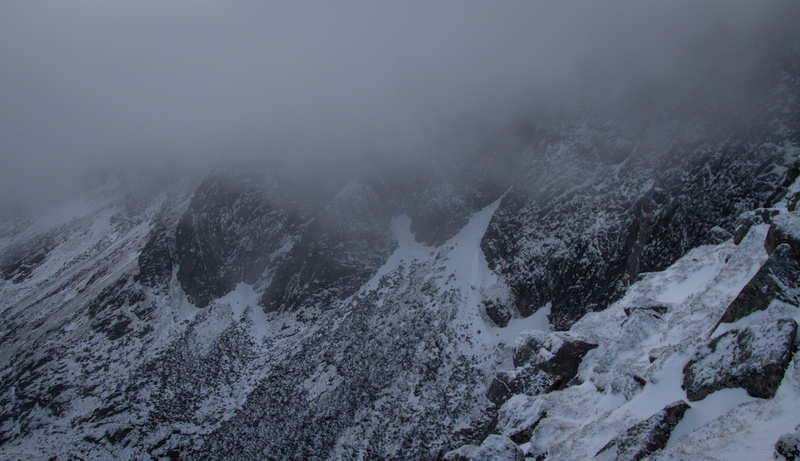 The crags were shrouded with clouds when I was there. Recently they have had strong winds blowing straight into them. 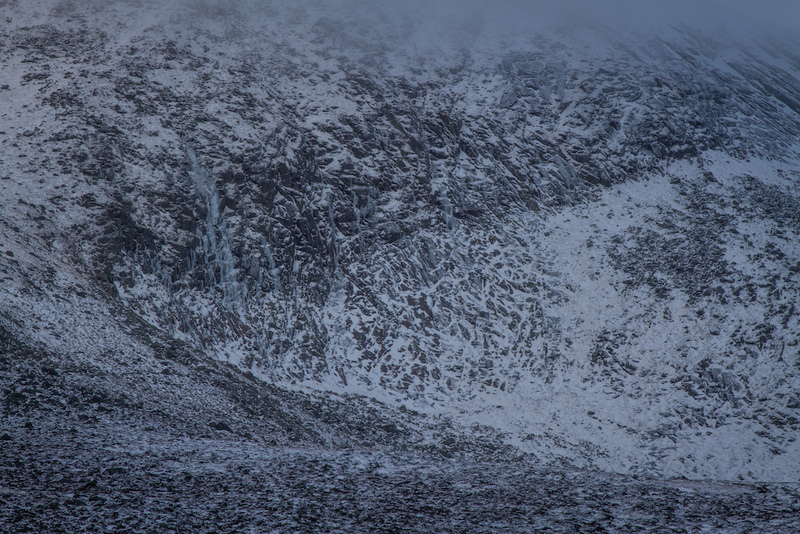 A walker above The Black Spout. Remaining snow is mostly firm. There are some deeper pockets of unstable snow but they are not widespread. 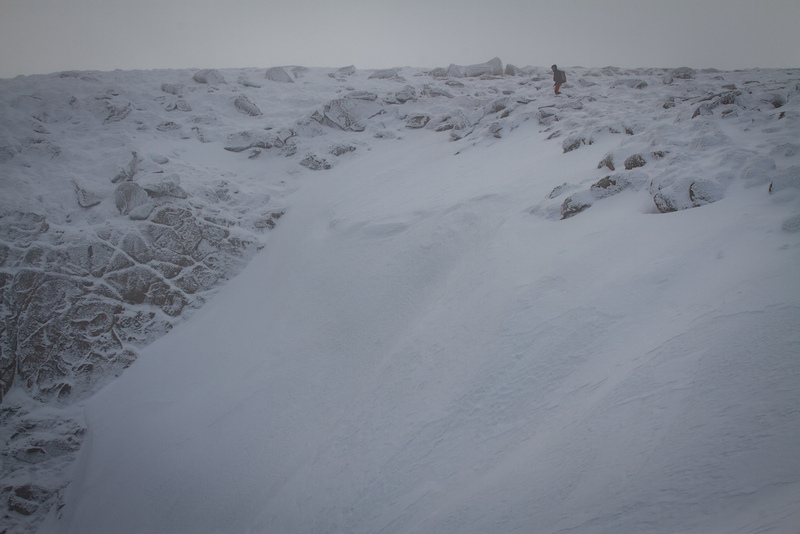 There was about 10cm’s of dry soft snow on a hard base here but not across the entire gully.